…that the senior team wants to use the data to make positive changes for the benefit of their staff, but they struggle. The struggle is because the senior team has no path to follow and no tools to use. Furthermore, their experience in implementing the findings to better engage people is likely to be limited. P3 provides a structured programme for the senior team to put in place. 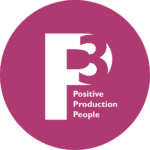 In essence, P3 is a three-year people engagement programme, investing in colleagues’ development, listening to colleagues, combined with a reward & recognition scheme. Ideal for factories of over 250 employees. In a case study with a Top 20 plc Supplier to Tesco, P3 was found to improve people engagement by 20%! Objective: To identify the level of people engagement wanted for each of the 3 years. Description: Meet with the stakeholders and a cross-section of Learner to analyse the data, identify insights, and then identify the objectives. Objective: To design a buy-in campaign that works. Description: Design a communication plan and activities that create the platform to achieve the objectives in Stage 1. Objective: To upskill the Learners in 3 soft skills. Description: Learners attend Masterclasses to develop 3 soft skills; Feedback, Coaching, and Teamwork. Objective: To create training between the Masterclasses that sticks. Description: Adapt the Sticky workbooks so that the Learners use the learnings from their Masterclasses. Objective: To have a reward and recognition scheme that embeds the right behaviours. Description: A scheme that highlights those that are using the right behaviours and those that are not. Objective: To understand if the programme has achieved the agreed targets. Description: Re-do the people engagement survey and analyse the results for positives and negatives. Objective: To use the learnings from year 1 to build years 2 and 3. Description: Using the engagement survey to steer years 2 and 3 towards even better people engagement. A Gallup study in 2015 reports that 50.8% of the workforce in the US were ‘not engaged’. Furthermore, another 17.2% were ‘actively disengaged’. These employees, while not hostile, did the bare minimum. They made little effort to go the extra mile. Moreover, they were more likely to miss work and resign. Lack of employee engagement is a global issue. In 2016, Gallup published a report on how Germany is negatively affected by disengaged employees. 84% of employees in the country were considered to be ‘disengaged’ or ‘actively disengaged’. This results in an estimated loss of €75 billion to €99 billion annually from lost productivity. Fully engaged employees return 120% of their salary in value. Engaged employees return 100% of their salary in value. Somewhat disengaged employees return 80% of their salary in value. Disengaged employees return 60% of their salary in value. The problem is simple and still, many companies are failing to connect with their workforce. The Incentive Research Foundation compiled a study on the Cost of Employee Disengagement. In 2010, as much as $350 billion is lost annually to low productivity, theft, accidents and employee turnover in the US alone. By 2017, Mind the Workplace, a study by Mental Health America estimates businesses lose between $450 and $500 billion a year due to low productivity from disengaged employees. Also in 2010, the University of Pennsylvania researchers affirmed Southwest Airlines founder, Herb Kelleher’s idea that corporate results have a direct correlation to workplace morale. In the study, the team found that the “Top 100 Best Companies to Work for in America” also had a 3.5% higher than average annual returns. In their employee engagement research, the Corporate Leadership Council found that up to 76% of employees are “up for grabs” in terms of engagement, and could become engaged or disengaged. Researchers at Dale Carnegie found that up to 69% of disengaged employees are willing to leave their current employer for a 5% pay increase. The good news is that according to the Work Institute, most employee turnovers can be prevented. Up to 75% of turnover cases can be turned around. The potential financial impact of this could be substantial for your organisation. Simply put, the research proves that more engaged staff equals better profits.